To fit in, to feel safe or to build walls? That’s the question that opens “Why Do We Get Dressed?” for Uniqlo Lifewear. Created by Droga5 New York, the brand’s first-ever global campaign features a man running through a crowded plaza as a narrator with a soft British accent expounds on what clothing means to us. The calm voiceover, spread over the slow-moving image of a man rushing toward something—a woman? A job interview? A cat in a tree?—delicately unwraps the thoughts that slip through our minds as we prepare for the day. What outfits or fabrics do we choose to feel safe, to protect ourselves, to fit in? She also sprinkles in tiny facts, all the sweeter when we know them: Warm colors, she tells us, release dopamine. A shirt can change how you feel, can make you happy. Soft textures make you feel secure. “Why do you want to fit in? Why do you get dressed?” she goes on. As a tribute to that wide philosophy, the ad’s characters are nicely put together, but not ostentatiously dressed. An old woman gazes skyward with her scarf casually thrown over one shoulder. A hooded man slows to watch our protagonist with interest. Even the guy we’re following looks like he’s just thrown on a shirt and jeans, then slung the most immediately available trenchcoat over it: Its heavy cut is (not unpleasantly) at odds with the lightness of everything else he’s wearing. The interesting result is that it isn’t so much the clothing we notice as the people—their faces, their expressions, the lingering regard of a long-haired man dressed entirely in black. And that’s when we remember that, for whatever reasons we choose our clothes, an outfit at its best doesn’t necessarily draw attention to itself; it reinforces who we are, illuminating our selves in a crowd full of strangers. This first global push is conspicuous: The Japanese yen is currently strong, putting pressure on the company, and Uniqlo’s business is underperforming in the US. 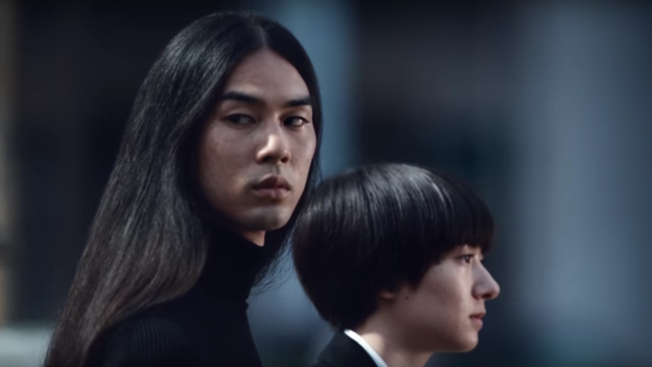 The campaign’s purpose is to reinforce Uniqlo’s values—a “relentless commitment to quality, functionality and style”—to a distracted Western market while expressing its Japanese roots. Our protagonist—and ultimately, the woman he’s running toward—is white, but the setting itself is Japanese, as are the majority of the ad’s other faces, an inversion on the typical ad ratio in western countries. 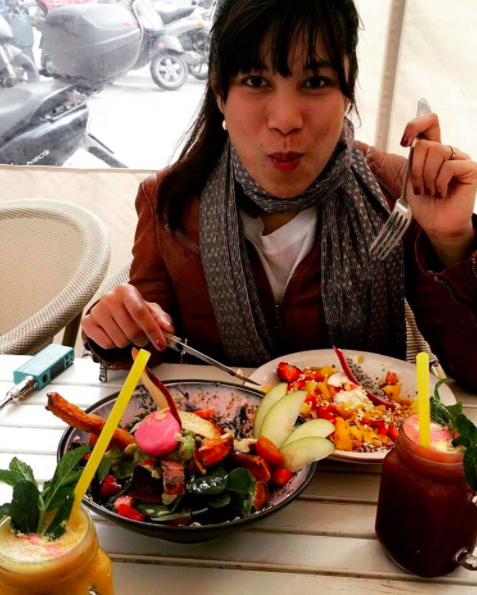 And while its look and feel may ring foreign to some, the questions explored here remain somehow both personal and universal, their relatability woven in almost seamlessly. They may even give us pause when, tomorrow, we run our fingers over the many options sitting patiently on their hangers.